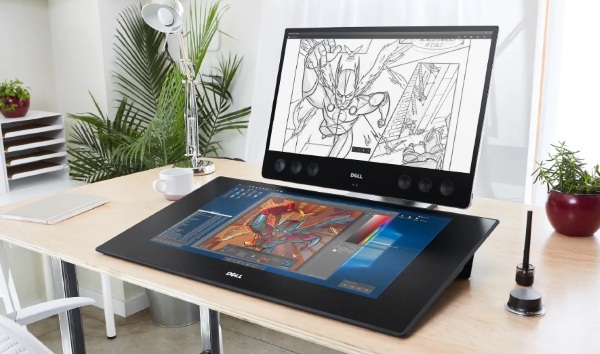 If you like to draw and create in a digital space, the Dell Canvas 27 will seem like a dream. This ultra-responsive workspace is 27 inches of pure creation to let your dreams go wild. Do what you want, you have the space! This pad works with Windows 10 laptops or all-in-one systems. You “draw” directly on this as though using pen and paper which makes using it very intuitive and close to what we we’re used to out in the wild, artistically. You can customize it as you need and it works with all menus letting you keep your hands on the pad at all times. This is great tool for people who are serious about digital art but honestly, it would likely be quite a bit of overkill for those who are just hobbyists. If you are a creator looking for more control over what you do and a larger space to do it in, you can grab one of these for low (not really) price of $1,799.